When you’re talking about the original, medieval Edinburgh, the Old Town is it. From the stunning Edinburgh Castle at the top of the Royal Mile down to Holyrood Palace and the Scottish Parliament at the bottom, the entire area is a World Heritage Site. You can walk anywhere in the Old Town and be following in the footsteps of kings and queens. 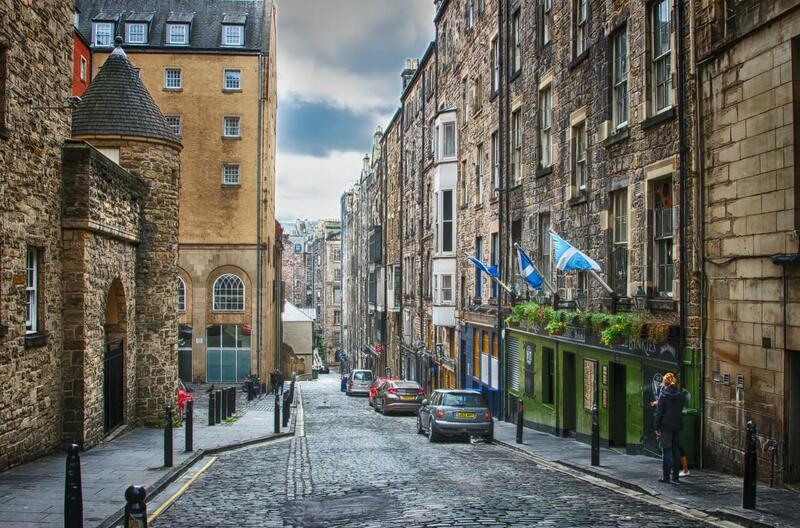 Located just around the corner from Edinburgh Waverly, the Old Town is the perfect area to spend a couple of hours between your Airbnb checkout and your evening train or flight. Given the Old Town’s antiquity, it is here you find most of the older visitor attractions, the bulk of the tourists and a consequent concentration of shops, bars, cafés, restaurants and nightlife. Spending a few hours here won’t be a hardship at all – prepare yourself to explore secret gardens and climb you way up to a local monument. Don’t know how to juggle your luggage and your desire to squeeze in more sightseeing before you leave? 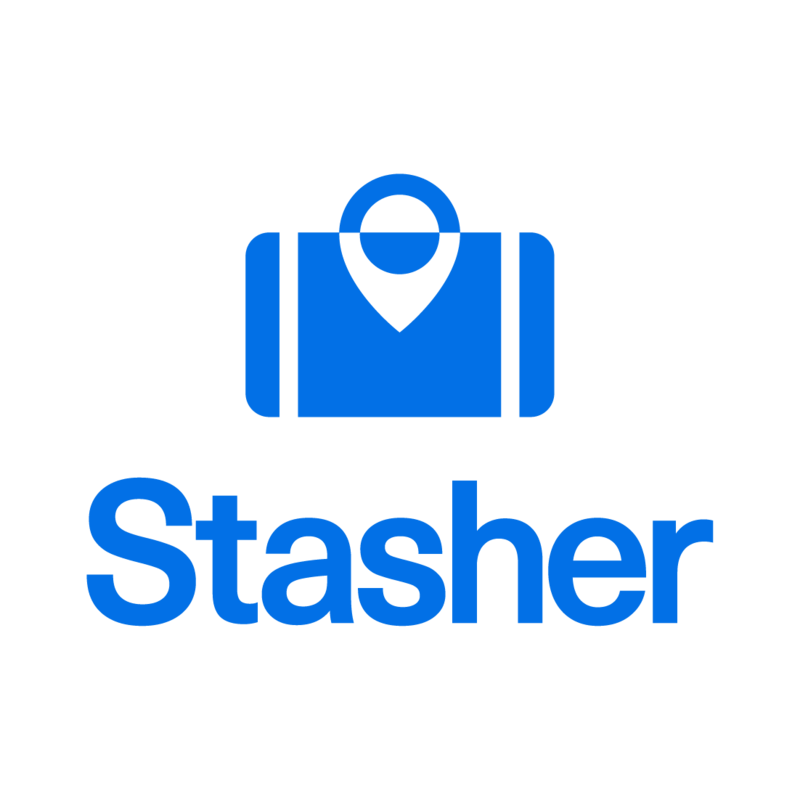 Worry not, Stasher has luggage storage facilities all over the Old Town and just a few minutes walk from the station. Easily drop your bags off at the beginning of your day and pick them up again before boarding your train. …and many more spread out throughout Edinburgh! Unless you’ve been living under a rock, you probably already heard of Edinburgh’s Royal Mile, a succession of streets running from the castle to Holyrood Palace which is approximately 1 Scots mile long (hence the name!). Explore this little stretch of ‘closes’, small cosy alleyways running from the Royal Mile to parallel streets, and nip in and out the many shops you’ll find here to find that perfect last souvenir you’ve been looking for. Tucked away off the Royal Mile, just a stone’s throw away from Edinburgh Waverly, is one of Edinburgh’s best secret spots. The entrance is not overly advertised and is hidden in a narrow, cobbled close. The garden has such an authentic sense of peace that you would not believe you were still in the heart of a busy city. A nice, quiet respite from the bustle of the Royal Mile, keep an eye out for this little part of hidden Edinburgh! If you’re feeling peckish, local residents recommend getting a cream tea at Clarinda’s, a lovely tearoom right outside the garden’s entrance. Hidden beneath the Royal Mile lies Edinburgh’s deepest secret: a warren of underground streets where real people lived, worked and died. Want to learn how one of Edinburgh’s busiest and most vibrant streets found itself underground? Take part in one of the numerous tours, led by costumed character tour guides who are half-historians half-actors. Especially when the weather makes it difficult to enjoy strolling outside, this is a great opportunity to learn more about the city’s history without getting thoroughly drenched. More info on tours here. Comprised of the Royal Scottish Academy building and the National Gallery of Scotland, the Scottish National Gallery is home to works from world renowned artists, such as Rembrandt, Botticelli and Picasso, while at the Royal Scottish Academy you can find art collections from the major Scottish artists. The National Museum of Scotland is also worth a visit, it’s a great way to explore Scottish history from the primeval age right up to the modern era. Don’t forget to venture up to the rooftop terrace on the 7th floor for unexpected breath-taking views of the city. One of the UK’s premier tourist attractions, and rightly so, this 12th century castle stands proud on a hill in the centre of Edinburgh and boasts 3 museums as well as the crown jewels. Located behind Arthur’s Seat, Craigmillar Castle is Edinburgh’s other fortress. It’s not as imposing as it’s big brother, but it’s worth a visit nevertheless. A castle ticket costs £16.50, we recommend buying your tickets online, so you can skip the queue. Indulge in some retail therapy while taking in the beautiful buildings that make up the Old Town. Princes Street, the main shopping street in Edinburgh, has a variety of shops sure to satisfy even the pickiest tourist. Before heaving yourself with countless bags from the best shops in town, stop to take a look at the Scott Monument, a 200 feet high monument dedicated to the writer Sir Walter Scott. If you feel up for it, you can even squeeze your way up its narrow spiral staircase for a breath-taking view that was immortalised in 2012 sci-fi flick ‘Cloud Atlas’. Chances are, if you went to every single place on this list, you’re probably worked up an appetite. Worry not – from fine dining to decent pub grub, the Old Town does it all. In a city littered with cafes, and top restaurants, not to mention the most Michelin stars outside of London, you certainly won’t go hungry. The Elephant House, a favourite with Edinburgh residents and tourists alike, has a wide range of tasty snacks and hot drinks. For all Harry Potter fans, it is worth mentioning that this is the place where JK Rowling would sit with a coffee and her laptop while writing the early Harry Potter books! A lovely bistro in the heart of Edinburgh, the Edinburgh Larder is often considered the best place for breakfast or a light lunch. Order a bowl of porridge made the traditional, Scottish way or buy a brownie or two to munch on the train journey! Want to eat like a local? The Dogs Kitchen Bar offers locally sourced seafood dishes such as home smoked trout. Whether you head here for the quirky canine theme or the mouth-watering dishes at affordable prices, we’re sure you won’t be disappointed. Finally, the Cranston’s At the Old Waverley Hotel it’s the perfect combination of high quality food and ideal location – located less than 5 minutes away from Edinburgh Waverley, you’ll be able to leisurely munch on your dessert without having to stress about running to the train station to catch your train.